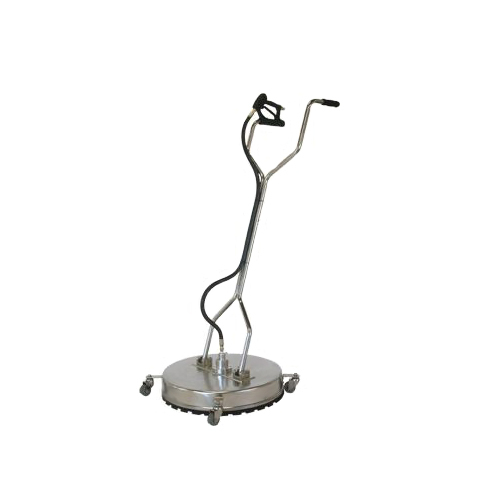 The largest in our range the 24” Stainless Steel Whirlaway makes quick work of large outdoor areas. Manufactured from stainless steel, the unit is durable, has a 3 nozzle rotor arm that provides quick, precise cleaning and intuitive easy to use system. This surface cleaner is ideal for cleaning large outdoor areas like sidewalks, parking lots, petrol station, school yards and hospital grounds. It also runs on 4 solid caster wheels, making it easy for operators to move about.